Better and thinner solar panel? Introducing, the Solar Paper! 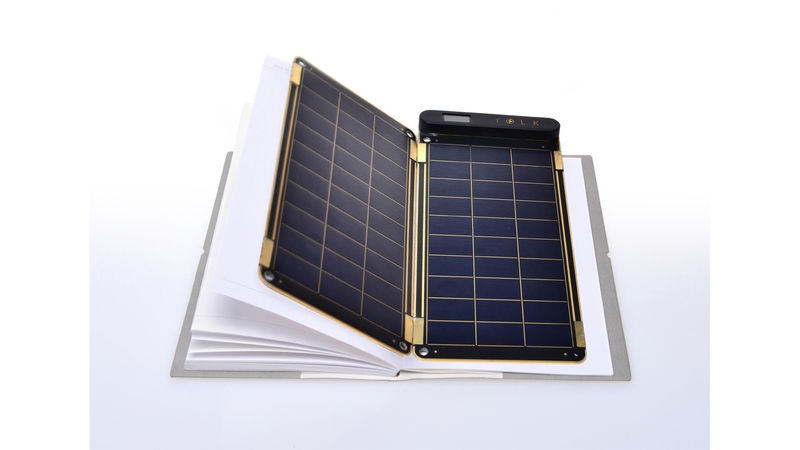 Solar paper is as for now the thinnest and lightest solar charger. It is just 0.15 inch and 4 oz, so thin that it can be placed inside your note, planner, or books! Imagine that! You can now charge anywhere under the sun. With up to 10 watts, you can charge your phone, tablet, or camera in bright sunlight.Developed and produced by YOLK, a solar company with a mission to supply solar energy to electronic devices, as a yolk does to the fetuses in eggs. YOLK is a small company founded by Sam Lim, he has been working in power industry for over 8 years, and in solar industry for 7 years, with numerous patents and vast knowledge and experience in developing power products.Want to know more about this awesome device? Follow this Link!